To develop UI elements in isolation and then apply them to the project, I have tried and learned Storybook. How to apply and run Storybook playground to the project depending on the development platform you can find in its official documentation here. As you read some of the blog posts, you have noticed that my specialization is React web applications. And the next example is also implemented with React ⚛️. After you finished adjusting, let’s add a few stories to the Storybook. For example, we have a simple sign up form with a title, a status message, two different input fields with belonged labels, and submit button. 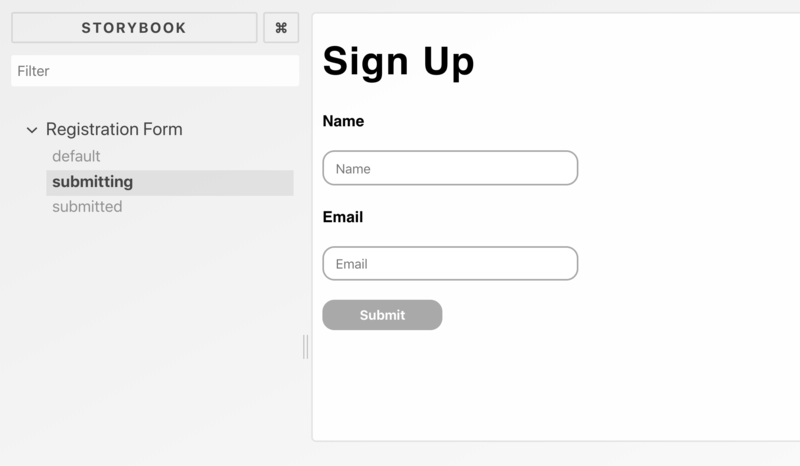 Let’s create a simple sign up form, mark up and style its elements in different states. submitted: the API call is finished and the server responded with success. 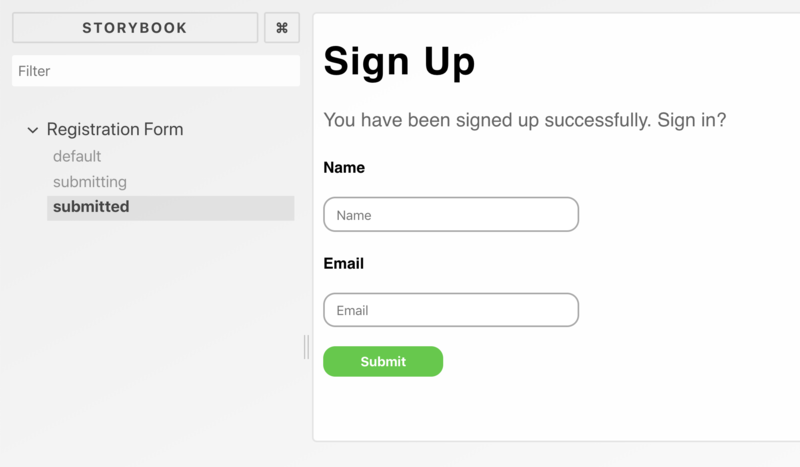 if the form submitted, then the user will be notified about successful sign up through the shown message suggesting them to sign in. const buttonState = submitting ? You have been signed up successfully. Sign in? 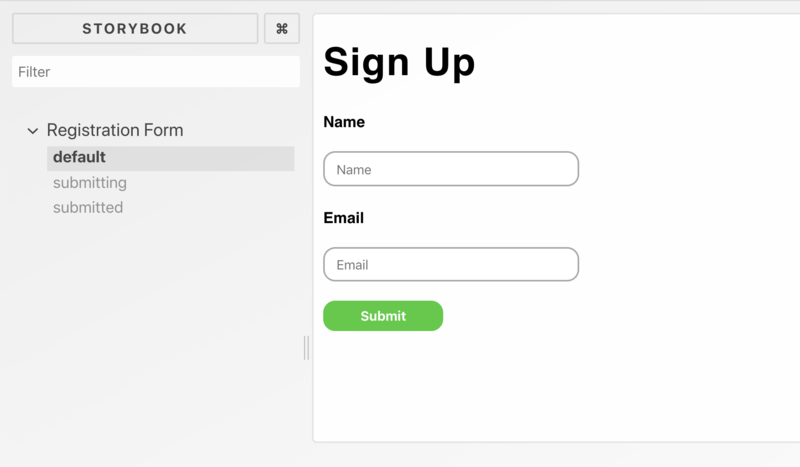 The <SignUpContainer /> component is the parent container component that will manipulate the sign up form though the states and methods onto them. We will omit this component, as it is not related to storybook-based styleguide. I hope you are curious now to try out Storybook with React or another library to create a style guide for your app. Just leave a comment to share the approach how do you implement a style guide for your app?